I always knew from a very small age that my boys where total opposite as my one darling daughter however until they got old enough to complete and interact in school work I never really understood how entirely different boys are from girls or men from women. This relates to our right brain/left brain issues too! Did you know that boys actually hear different than girls? The male/female body is actually different in this way. Have you ever really paid attention to the doodles and drawings that your kids make during free time? 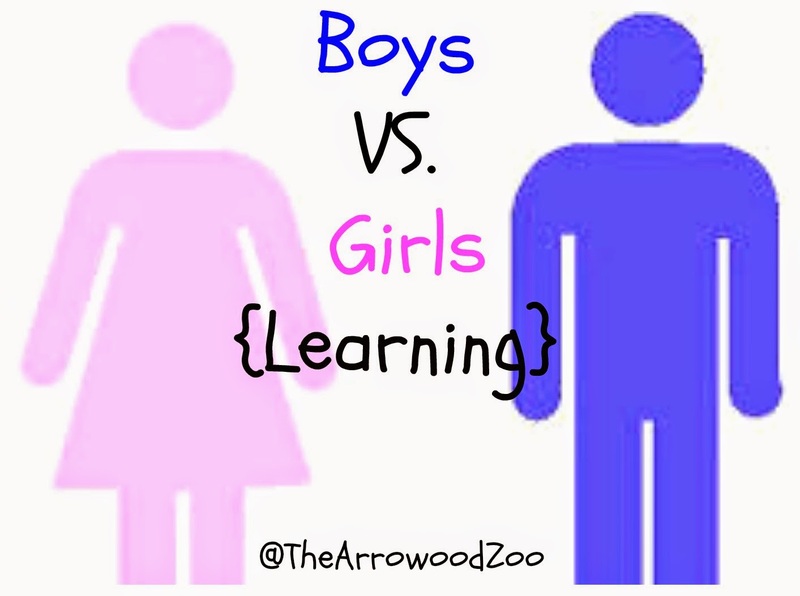 Boys almost always draw verbs and girls nouns! Sadly in today's world boys stop drawing because of the negative impact that they get from their work. Ohh, why can't you draw a pretty animal, well because it is just not in their natural normally! I can honestly say I witness this almost daily. Boys do not notice those annoying little sounds they make. I can ask Zachary to stop and he will say stop what? Stop playing the drums on the table while we are doing spelling. Oh I was doing that? Um, yeah you where. Oh, sorry mom. This conversation has happened more than once and with both boys. Did you know that boys and girls have a optimal learning temperature? Boys perform better the cooler they are but girls need the temperature warmer. Boys optimal learning temperature is 68-69 and girls are 73-74. They even feel pain differently! I never have understood why my boys like to wrestle or shot each other with the air soft guns until now. Makes perfect sense. Girls do not enjoy pain. When they feel pain 100% of men have an increase blood flow to the brain while 100% women have a decrease of flow to the brain. Our children like to please us and do well and they will want to do those tasks at which they feel great at. Children, just like us, will not want to do things that make them feel as a failure most the time they would rather take a punishment than to fail. So with all this information please say positive things to your children and don't forget to smile!